Bradley Funeral Home is proudly participating in Thrivent “CANS” Hunger to benefit the Antigo Area Community Food Pantry (AACFP)! The staff at the funeral home has been busy preparing for the first annual Antigo area competition. 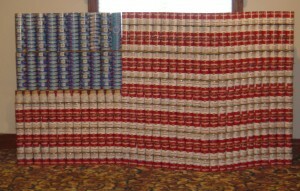 We invite you to stop by the funeral home and see our “Canstruction” of the American Flag. 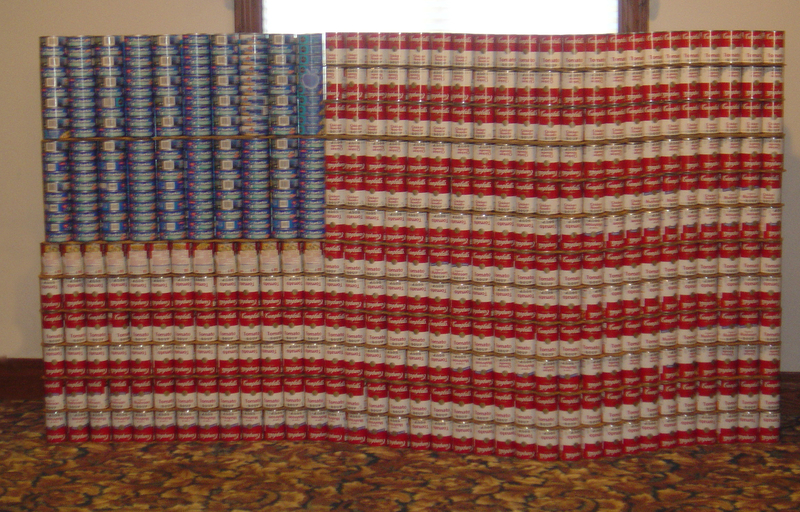 You can vote for your favorite display by donating a perishable food item or giving a dollar to AACFP. The Mid-Wisconsin Chapter of Thrivent Financial will match $5 for every pound of usable food pantry goods collected up to $17,500. …and don’t forget to find the Apple!